Made an early start to Saturday’s Cork Kerry Food Fair at the City Hall. Just as well, as the aisles soon filled up, the punters keen to sample the wares and hear about the many products, some of them new, on display in the 70 or stalls. It was great to meet up with some new producers and also to say hello to some that we’ve come to know over the past few years such as Timoleague’s Anthony Cresswell, a terrific supporter of local food and well known for the delicious stuff that comes from his Ummera Smokehouse. 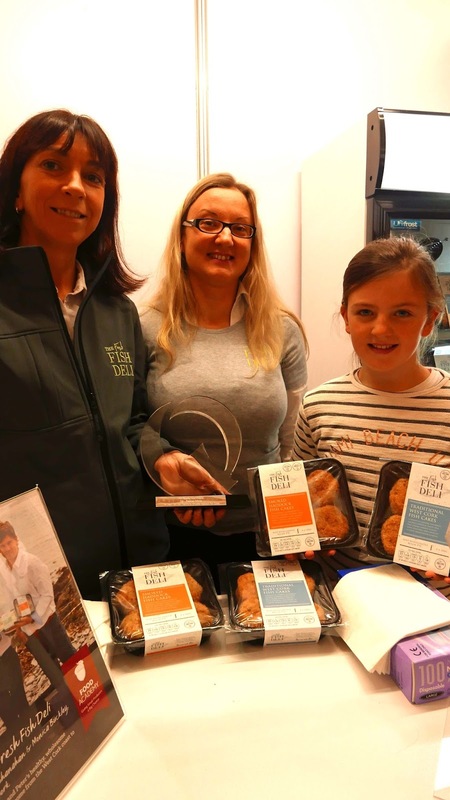 Had heard good things about the Busy Botanist, the winner of the 2017 Listowel Food Fair Best Emerging Artisan Food Product Competition which is sponsored by Kerry LEO. 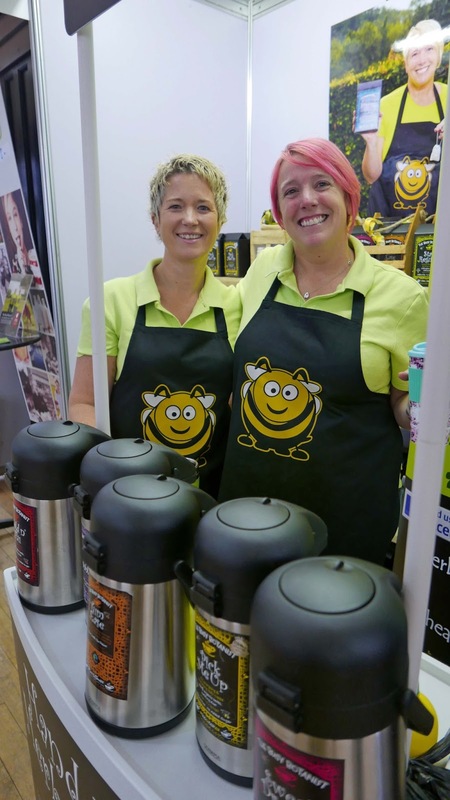 The Glenbeigh company was established earlier this year friends and herbalists, Clair Kelly and Jo Arbon. The overall winner of the Kerrygold Listowel Food Fair Cheese Competition was a garlic and thyme flavoured goats’ cheese. Cordal are the producers and they too were in the City Hall but were busy when I passed and I forgot to go back later on. 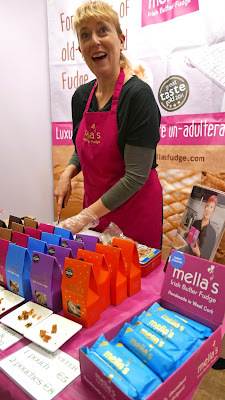 While it was a pleasure to meet Clair and Jo for the first time, it was lovely too to link up again with the likes of Mella and her amazing fudge - it just seems to get better and better. 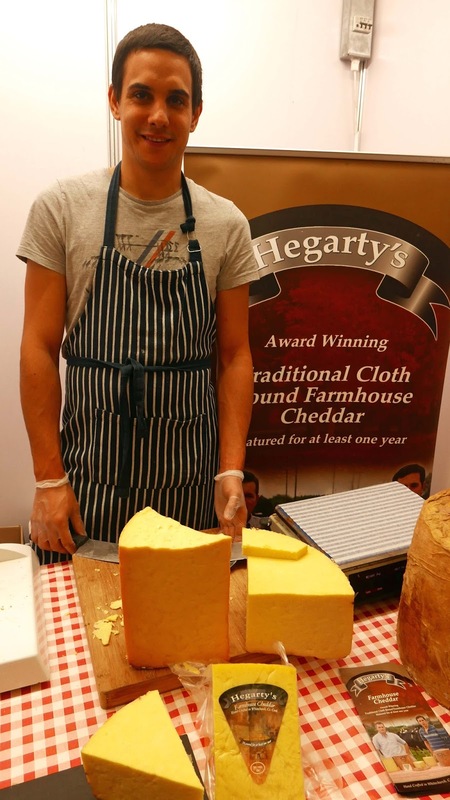 And the same could be said about Hegarty’s Cheese from Whitechurch. Got a taste of their 12-month cheddar from Jean-Baptiste and it was just exquisite, as always, a classic. 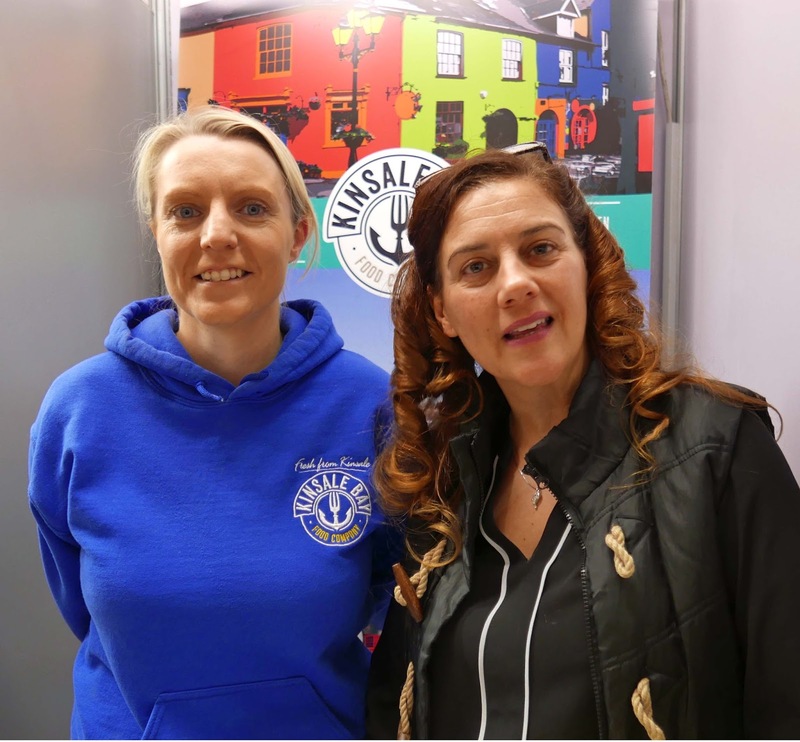 It has been quite a year for Kinsale Bay Food Co with their products becoming more readily available with every passing month. Manager Tommy Doyle has quite a crew in the Little Island facility and Aoife White and Lorna Conroy were keeping the flag flying last Saturday. Melanie Harty’s 100% Irish jellies, savoury and sometimes spicy, are well known all over the country and we meet Melanie, herself well known all over the country selling her produce! If you're on the road that much, you have a particular interest in the weather and she told us about her experiences during the recent storms and said that Brian with the heavy rains caused her more problems than the windy Ophelia. More spice down at the end of that line where Athula had a stand. 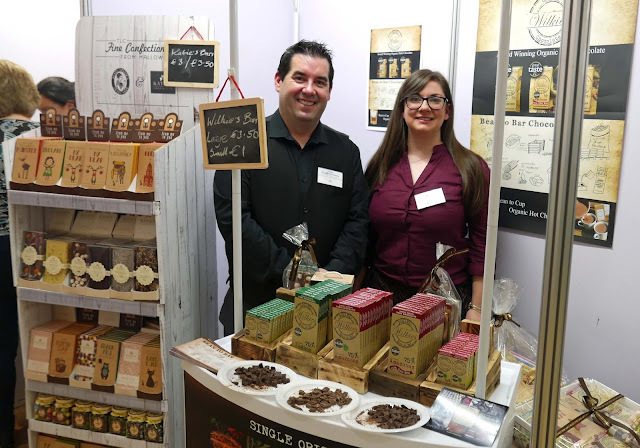 Athula, who works out of the Cork Incubator Kitchens in Carrigaline, is well known for his sauces, particularly his Piri Piri range with which he started, and you’ll also see him in local Farmers Markets. You’ll see his doing tastings in lots of local SuperValus and at events like the City Hall. If you want to know how best to use these sauces, check his website here. 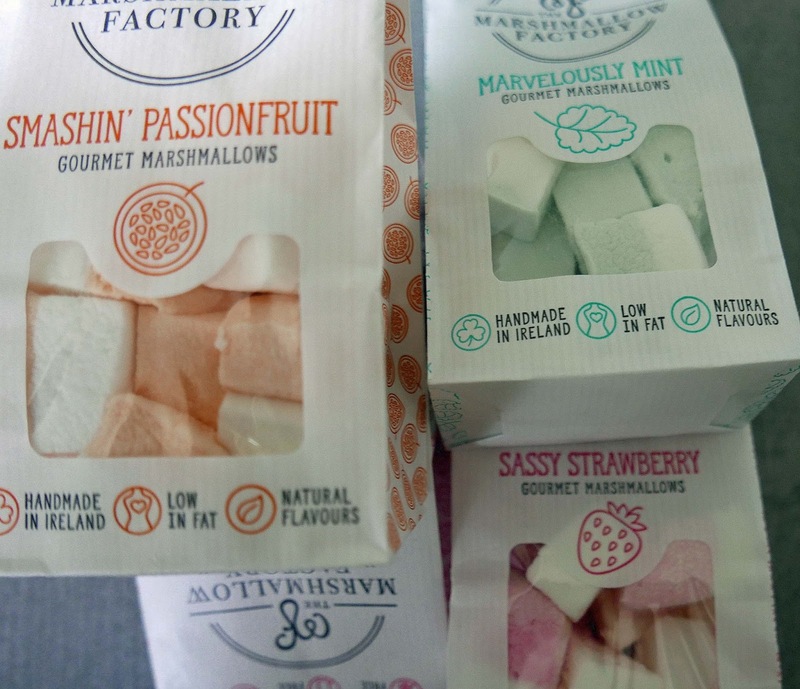 TLC Fine Confectionery, from Mallow, will probably be known to you through the Auntie Nellie Sweetshops around the country. 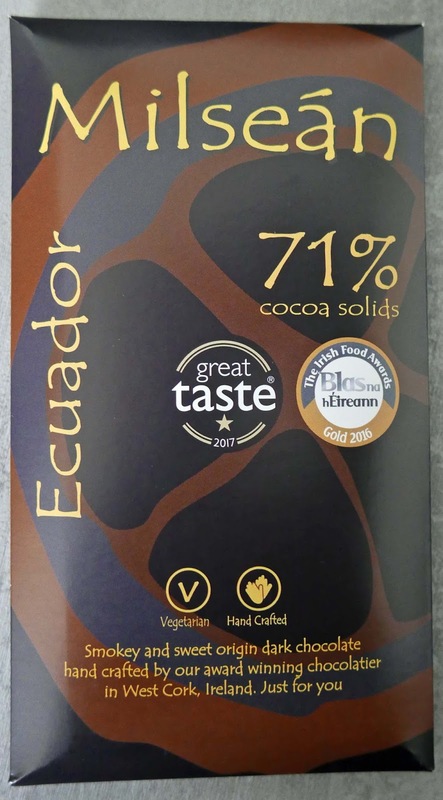 Here you’ll see the large range of Katie’s chocolates and, just recently, they have been joined by Wilkies Chocolates. Willies are a bean to bar producer and Shana Wilkie will continue, and probably expand, along those lines. More sweet stuff at the Marshmallow Factory. I had already sampled the Strawberry one, it was taste of the week not too long ago (see here). I took advantage to stock up on the others, the Mint and Passionfruit. Melt in the mouth delicious. Munster Brewery are Youghal based and well known in the craft beer market. 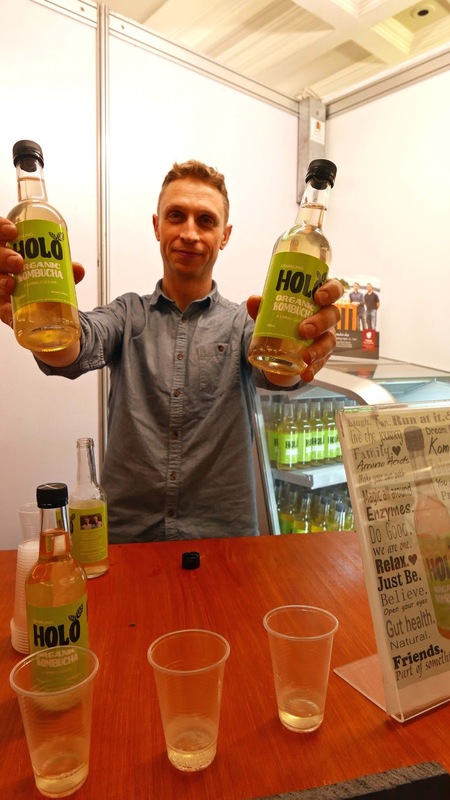 Now they have added another company producing a Kombucha called Hola. There is loads of info on this organic drink, a fermented tea and sugar drink, on their Holorganics website. The twins, Padraig and Adrian Hyde, are serious about their beer and about this, intending in the long run to establish a retreat to help people who are racing to stand still. Many of you will have heard of Gookies, a handmade wheat free, gluten free cookie dough roll in various flavours that is refrigerated and can be frozen.They are produced by Bia Gan Breise a company located in the heart of West Cork. Tasted some of the finished product at their stall. Impressive! Monica of Rosscarbery’s Fish Deli (great supporters of these events) was in top form as always. They had some more good news recently when they won a national honour taking the Irish Quality Food Award for Best Prepared Fish and they had it on display in the City Hall. So well done to Monica and Peter and all the crew. Another West Cork company, Milseán, was a popular stop. This chocolate company had no shortage of samples and they were just flying off the saucers! After all that hard work sampling all the good things, it was time to move on over to the separate Craft Drinks section and first stop was the Cotton Ball who we had seen collecting their beers from the brewpub earlier in the morning. Alongside, were Youghal’s Munster Brewery, the other half of the Kombucha venture! Ballyvourney's 9 White Deer Brewery were highlighting their Gluten Free range and I was told they had a great time down in Cronin's Crosshaven the previous evening when they launched Ireland's first ever Gluten free draught stout. Blacks of Kinsale were all set up with special six packs available at a very good price indeed. Next door were the West Cork Brewery from Baltimore with their unusual oval shaped bottles (all the way from Italy, they told me). Rupert, of Longueville House Drinks, is another terrific supporter of this kind of event and he had their ciders and apple brandy available for tasting. 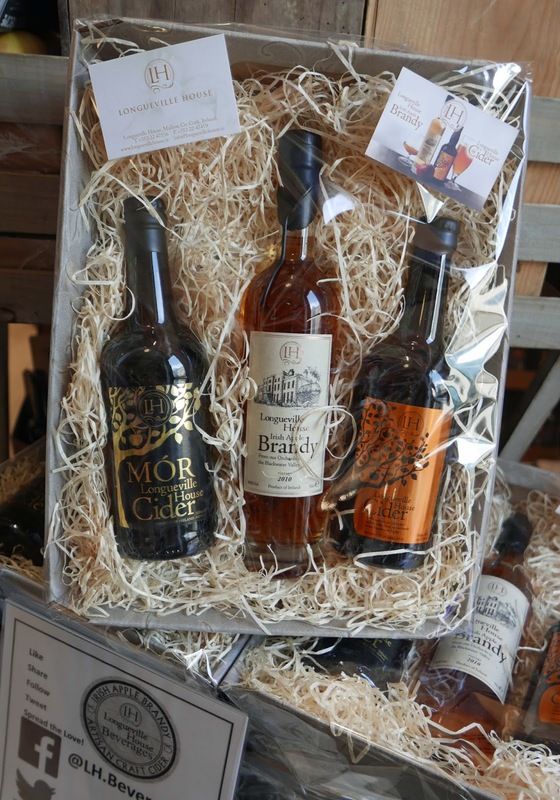 Indeed, I noticed a nicely packed trio of the two ciders and the brandy (the trilogy, Rupert called it) that would make a lovely Christmas present. Stonewell Cider were also displaying their range and neighbours Kinsale Mead, who have been getting their lovely product into more and more stores, were across the way with the newcomer Beara Ocean gin and Hyde Whiskey alongside. I wasn't doing tastings myself - a bit too early I thought. But Justin of Bertha's Revenge “ambushed” me. Before I knew it, I had a sample in my hand. That wasn't going to waste so I tasted and was immediately reminded that this is a lovely “sipping” gin. So, if you’re out of tonic, don't worry. Just pour a drop of Bertha’s and sip it nice and easy. Time then to say goodbye to the event for another year, another tasty and flavoursome one ahead by the looks of it!